Pop culture is pop culture for a reason. We use clichés from pop culture movies as references and inside jokes because everyone gets them by now. I admit, some pop culture references do get stale over time. But we’re not going to get hung up on that today. The reason we come back to a certain quote or a scene from a movie/TV show is because it resonates with us. It makes us think about life in a deep manner or just makes us laugh. Movies do have the power to change your life. Or at least teach you something. Just like these wallpapers will. Note: Images in the article are for preview only. Click on the image to open the download page. Also, don’t forget to check out our curated wallpaper collections for Iron Man, Spiderman, Star Wars and sports cars. If you’re aware of The Hitchhiker’s Guide To The Galaxy, you know the cover reads “Don’t panic”. Well now, so does my iPhone lockscreen. How can it not? Abbey Road might not be your favorite Beatles album but its album cover went straight to the history books. You can now relive the glory of the 60s music on your gadgets using these wallpapers. The other thing a die hard Beatles fan can’t get over is the Yellow Submarine poster. Just look at it, it’s majestic. I plan to have it up on my wall any day now but before that, the wallpapers will do. Pop culture quotes shared on social media usually have a shelf life. At one point you get tired of Marilyn Monroe quotes. But that has never happened to me with Fight Club. Every time I see a new digital rendition of the classic quotes, I remind myself of the values behind them. “You’re not your f**king khakis” always gets me. 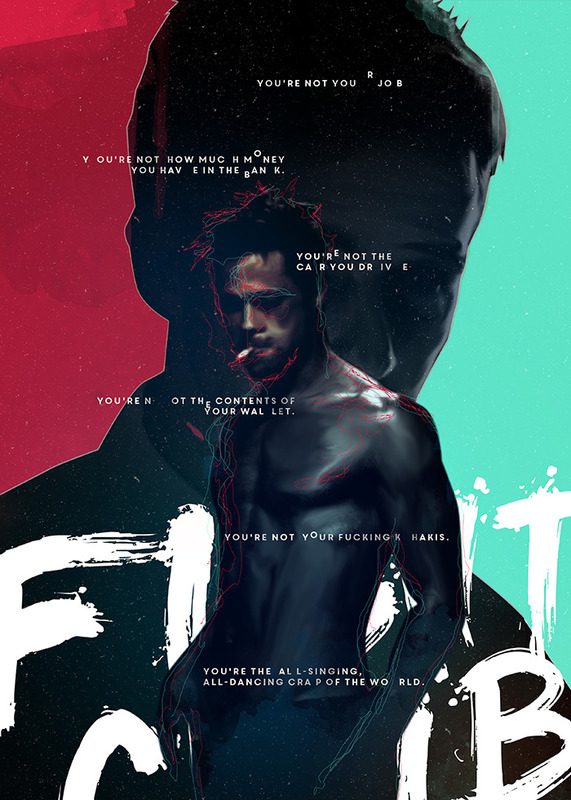 Fight Club 2 is coming out in 2015, in the form of comic books! Oh, Game Of Thrones, just when we thought we’d seen it all, you came along to creep the hell out of us. Yet, we still love you and want more. Just keep telling George R.R. Martin to write faster on his sans internet 90s DOS based Windows PC. There’s no end to great Game Of Thrones wallpapers. The community is just as creative as the TV show itself. Still, here are my recommendations. HBO themselves have put up a great collection of wallpapers for your favorite houses. Check them out here. Which wallpapers do you like the best? Have any suggestions or requests? Comment below!